Over the summer I started working on an editorial project for the mens clothing / street wear blog highsnobiety.com that was just published on their website today. 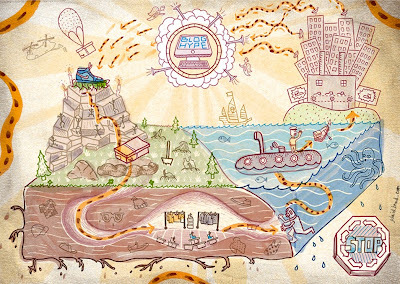 The project consisted of one large illustration and eight spots, ultimately put together in the layout above and included in the article. 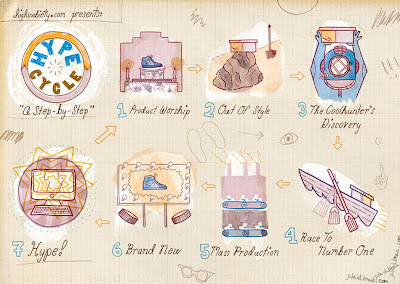 They both illustrate the cycle of how vintage style sneakers go from worshiped to buried to re-discovered and then of course re-hyped on blogs. I would like to thank both Chris and Nick Schonberger of highsnobiety.com for giving me the chance to work on this awesome collaboration.